Researchers in France recently announced that they have discovered new information about the workings of the enzyme hormone-sensitive lipase (HSL) — information that might lead to the development of new drugs for Type 2 diabetes. The scientists were from Inserm, a public research organization in France devoted to the study of human health, and were led by Dominique Langin, DVM, PhD. They had previously discovered that decreasing the production of HSL leads to better insulin response. In this latest research, published in Nature Metabolism, they explored how this reduction in HSL actually caused the beneficial effect. To their surprise, the researchers discovered that the positive effect of lower HSL did not come from a reduced release of fatty acids. Instead, it was caused by an increased synthesis of oleic acid, which is a major component of olive oil. Further investigation led them to the realization that there was a physical interaction between HSL and a protein known as ChREBP, which plays a role in regulating glucose metabolism. When HSL binds to ChREBP, it blocks the activity of ChREBP. Therefore, a decrease in HSL allows ChREBP to be released, leading to increased insulin sensitivity. Armed with this knowledge, the researchers are now exploring, in conjunction with pharmaceutical company AstraZeneca, the possibility of finding ways to block the interaction between HSL and ChREBP. 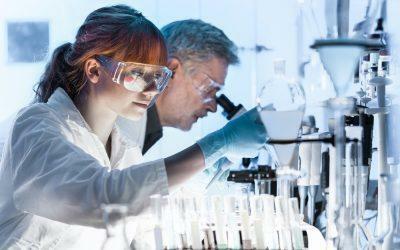 This could lead, they say, to the development of new drugs for treating Type 2 diabetes.